Le CERIAS vous invite à une conférence de l’anthropologue Alessandro Rippa, qui sera à Montréal en mars en tant qu’invité de l’Institut Italien de Culture de Montréal. Alessandro mène des recherches postdoctorales à l’Université Louis-et-Maximilien de Munich sur le développement d’infrastructures, le commerce transfrontalier et la mémoire aux frontières chinoises avec le Laos et la Birmanie. 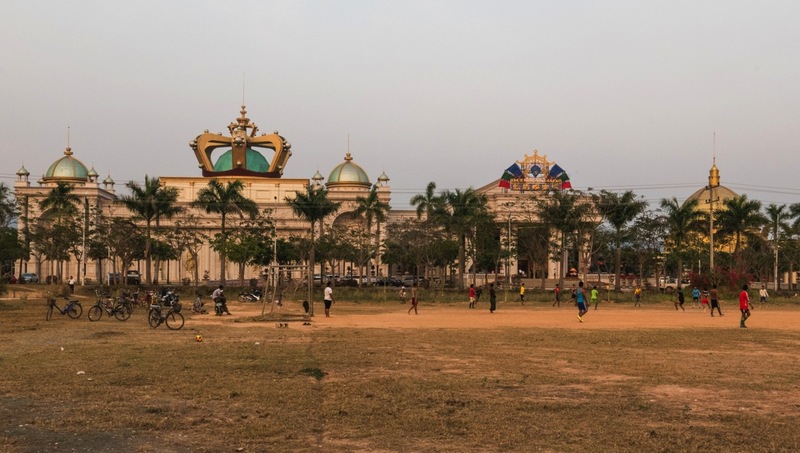 Il donnera une conférence en anglais intitulée « Zomia 2.0 : Casino towns and the ‘China effect’ in Myanmar and Laos » le jeudi 16 mars 2017 à 17h30 au local W-3235 à l’UQAM. Ci-dessous vous trouverez le résumé de la conférence. Pour plus de détails, voir l’affiche ci-jointe. Since the 1990s several ‘special zones’ have appeared along China’s border with Myanmar and Laos. Often described as lawless enclaves of vice, gambling, and smuggling, the study of those spaces has focused mostly on their exceptionality and ambiguous form of sovereignty (Ong 2000). As shown by Nyíri (2012), however, rather than simply keeping the state out, those special zones bring the state in, through investments, infrastructures, and deals with government officials – similarly to the ‘ceasefire capitalism’ logic illustrated by Woods (2011). Those geographically and politically remote areas are, in other words, closely tied into national politics and global financial interests. This paper argues that it is precisely through the ambiguous presence of the state that those spaces manage to maintain a unique level of autonomy. This occurs, for instance, by mimicking state practises and aesthetics, or what Nyíri calls the ‘paraphernalia’ of the (Chinese) state. Moving from Scott’s (2011) famous discussion of highland communities in Southeast Asia, I term this Zomia 2.0 : a modern and neoliberal attempt to keep the state out at the edges of Asia’s greatest power. Furthermore, Zomia 2.0 refers to the fact that today, whilst in the remote highlands of Asia it remains possible to evade the state, it has become impossible to avoid China’s growing influence. My second argument, then, is that those special areas are not just an attempt to escape the state, but rather to deal with this Chinese presence in the best possible terms. A ‘China effect’ rather than a ‘state effect’.